The Cubs versus Marlins match-up today has already happened, but I’m writing this in advance so I don’t know the result. I’ll guess good since it is the Marlins, a gutted fish of a team. Could be wrong, though. Baseball is crazy and fun like that. 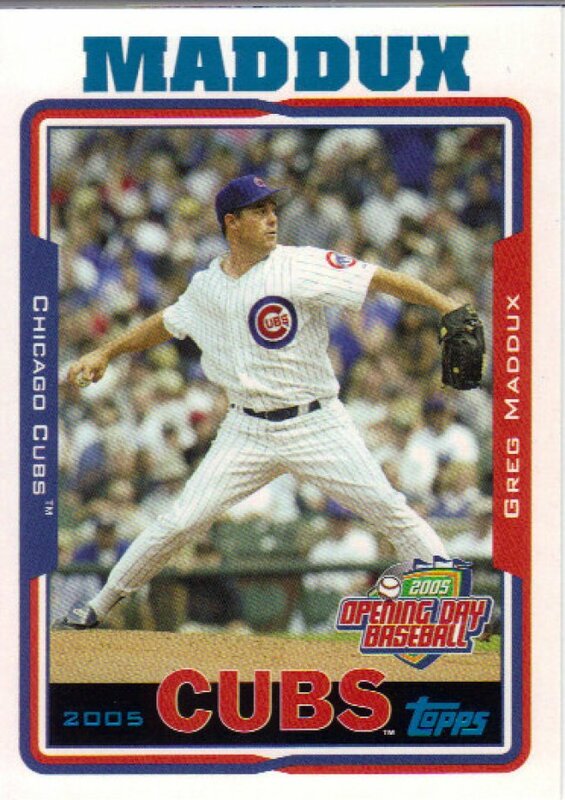 Longtime readers of the blog know that I tend to like the Opening Day cards and in trade posts, I always tried to feature them. Well, throughout my time, it turns out there were some that I still haven’t posted. And of course, new players to collect means more opportunities. Let’s start this season off right (but don’t go expecting these timely posts from me). 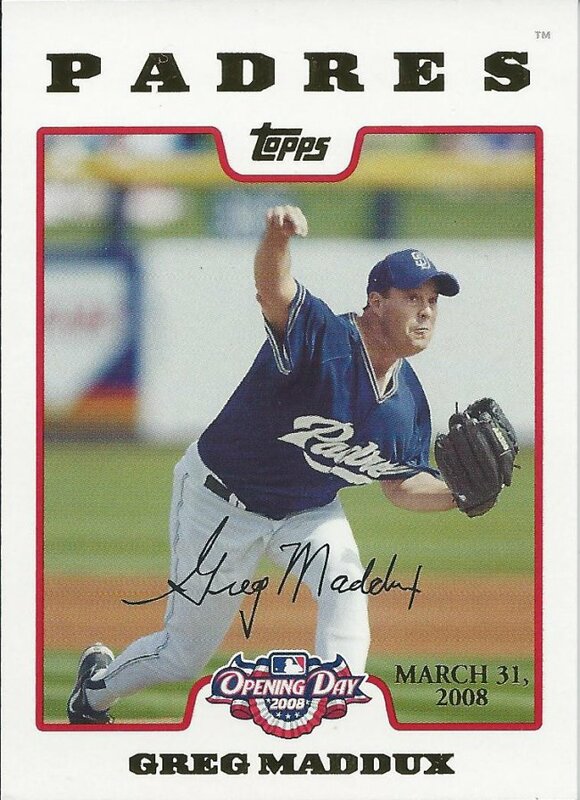 Jake Peavy got the win for the Padres on opening day 2008. They beat the Astros 4-0. After winning the last game of the season in 2016, the Cubs managed to lose 4-3 to the Cardinals. All this star power and nothing to show for it. 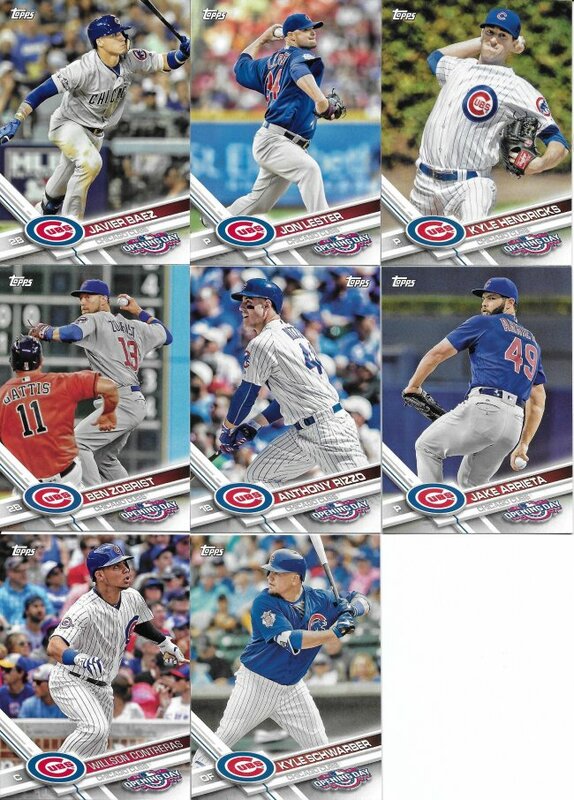 Honestly, without looking at my want lists, I’m not sure if I have the full Cubs base set that I need, but it’s dang close if not. 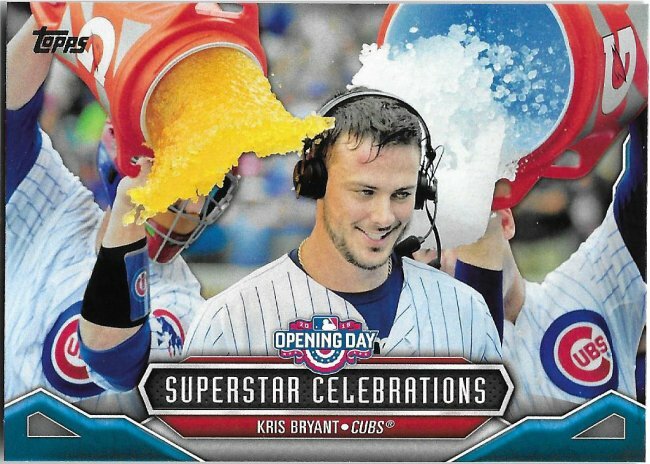 Inserts are going to be a much different thing, but that Javy picture is great. I might have zoomed in a little bit, but that’s nitpicking. What a sinister look he has! This is from the previous year, 2016. For 2016, the Cubs beat the Angels 9-0 on their way to the World Series. Bryant was not a significant part of that particular victory. In 2011, the Braves beat the Nationals 2-0 in their opening day match. 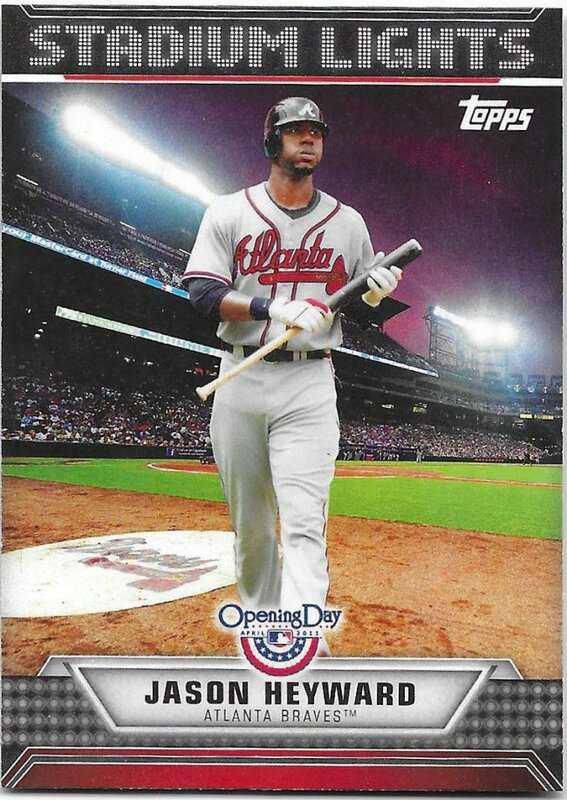 Heyward homered in the first game of his sophomore campaign to lead off the second inning for the last run of the game. It was not played at night, however. Lastly today, we’re going back 20 years (already…yikes!) to 1998, where we have another victory. 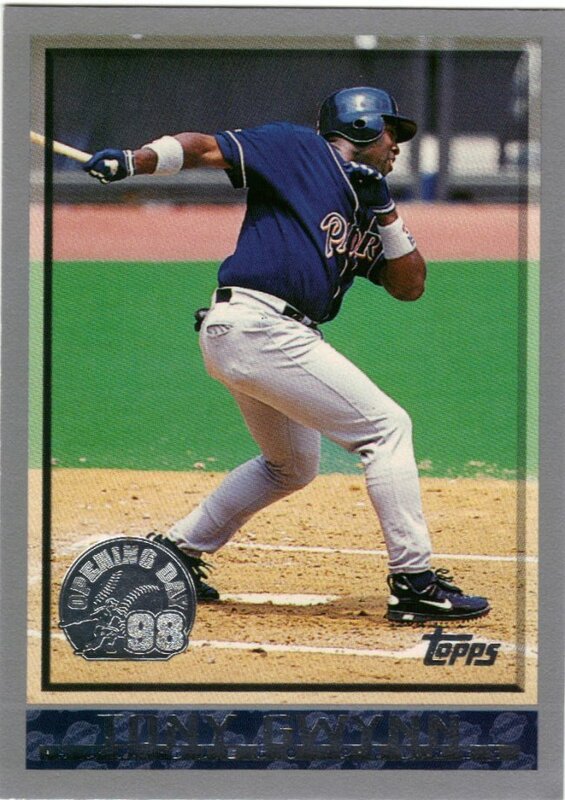 Padres beat the Reds 10-2, and Tony Gwynn even homered in that game, something he was not known for. Not a bad way to start the season. I wonder what hometown heroes we’ll see (if any) this year. Should be a fun season.